Minister Christopher R. Brooks, founder of THE EMPOWERING HOUR MINISTRIES was saved at a very young age and began to serve in the church community at the age of 10. He has for over 40 years been a faithful member at The Mount Chapel Baptist Church located in Lyons, GA. where he began as a Junior Usher, Bible Study Teacher , to its Chairman Deacon and in 2005 being Licensed to Preach the Gospel . Minister Brooks spiritual gifts are unlimited and the Lord has used him also in the areas as a Christian Financial Counselor & Workshop Leader, Youth & Adult Counselor, Marriage Preparation Counselor, Hospice & Grief Counselor, Prison Ministry Facilitator , Revivalist and Guest Speaker at various churches throughout the southeastern United States, eastern United States and in Germany. Having had the opportunity to spiritually bond with and become a faithful spiritual son of Dr. Earl D. Johnson of Covenant Life Ministries based in Pasadena, California , Minister Brooks became more empowered in the Word of God and the Five-Fold Ministry. In 2008, after having demonstrated by continued actions and by statement of faith his love for Jesus Christ, Minister Brooks was ordained into the worldwide ministry of The Trinity Evangelical Christian Church by its Director, Rev. Dr. Nicole L. Weyant in Harlem, Alabama. As well, Minister Brooks had the honor of participating in the first Charter Class of The Michael Guido School of Evangelism and was taught by the late Dr. Michael Guido, founder the renowned Guido Gardens Evangelistic Association in Metter, Georgia. God is continuously working in the life of Minister Christopher R. Brooks as he continues with the anointed gift of teaching, preaching and reaching the people of God wherever the Lord sends him. Most recently since 2010 Minister Brooks has been able to plant seeds in the growth of other churches and houses of worship. In 2013 his Bible Teaching will become universally available and heard as he joins Rev. 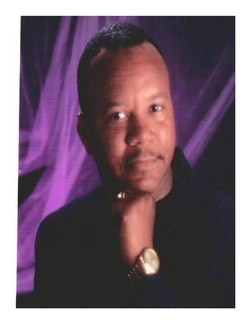 Dr. James Slaughter and The Kingdom Faith & Power Broadcast where The Commanding Valor - Hour of Power Bible Study is broadcast on a weekly basis on Tuesday Nights, 7 PM on KFPB Internet Radio Broadcast and also where he is a frequent radio ministry co-host at several locations in his area. Minister Brooks motto includes, “ To rightfully divide the Word of truth- for we are destroyed for lack of knowledge.” Therefore the Lord has anointed and prepared him to teach and preach the Divine Messages in such a way that the saved and the unsaved can understand and hear God through him. Minister Brooks believes God designed the church in which we worship as a refuge for the saved, and that our places of worship are where the “Saints of God can become fully equipped in relation to scriptures which are the gospel truth, divinely inspired by God Himself.